Our DIY Wind Turbine, connect with the DIY wind turbine dealer for your area. There are still areas open for new dealers to become the local source for wind/solar systems. So, if you are interested in becoming a home wind turbine dealer fill out the Contact Form at – WindEnergy7.com – and we can see if your area may still be open for you to become the home wind turbine dealer for your county. 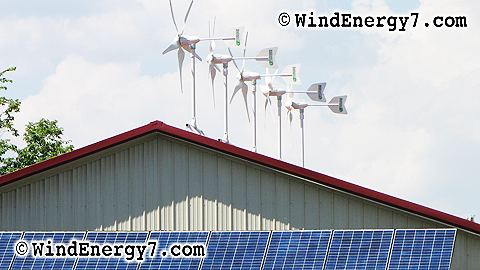 To see more videos of our home wind turbines, go to – WindEnergy7.com – and you can find info about purchasing a system, becoming an installer, or dealer of our home wind turbine systems. 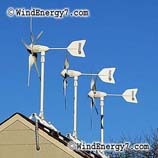 US Home Wind Turbine Manufacturers of home wind turbine kits. 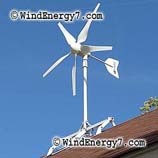 Our patented home wind turbine rooftop kit is currently available for purchase online. Or buy a home wind turbine from our established nationwide wind turbine dealer and wind turbine installer network. Our home wind turbine is a very high tech, quality engineered, rooftop wind turbine kit, invented and patented by WindEnergy7 LLC, an Ohio manufacturer. 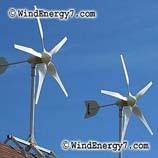 You can buy a wind turbine kit at WINDENERGY7 DOT COM. The home wind turbine has a 2 moving part generator using the strongest magnets in the world, less moving parts than any other competitor. Less moving parts in a home wind turbine means less wear, less noise and vibration making the home wind turbine quiet on your home’s roof. Our home wind turbine will run smoothly and spin your meter backwards. We have more installed rooftop home wind turbines than anyone because we have solved the noise and vibration that is the problem of all other systems out there who try to put home wind turbines on a rooftop. For further information fill out a contact form. Buy wind turbines from WindEnergy7 direct, or buy wind turbines from one of our local wind turbine dealers or from our site at WINDENERGY7 DOT COM. 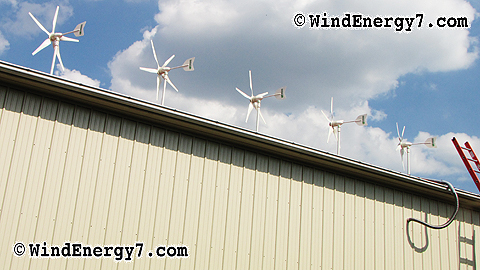 Buy our patented rooftop wind turbine system with hybrid wind/solar technology. We invented the only rooftop turbine that’s safe and quiet for your home. 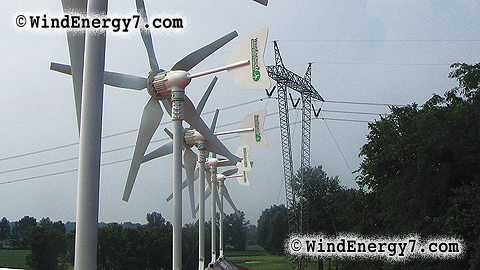 WindEnergy7 LLC is an Ohio based manufacturer of small wind energy products, you can buy wind turbines from us online, or buy wind turbines from a local dealer. Whether you buy wind turbines online or buy wind turbines locally, you will get our outstanding support, training, and engineering. We hold patents for our inventions, systems that make rooftop wind possible. We have a growing dealer network of individuals in the US who use our products and an installed base stretching from California to New Jersey. Customers find our kits to be easy to build and understand. Many customers have found it easy to become dealers or customers with our wind turbine training.